Good. 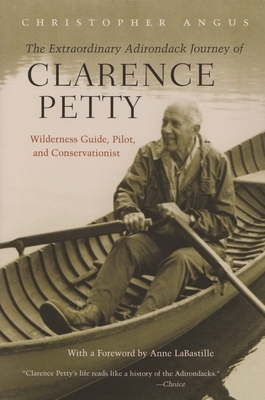 The Extraordinary Adirondack Journey of Clarence Petty: Wilderness Guide, Pilot, and Conservationist by Christopher Angus, 2007-07-15. Trade paperback (US). Glued binding. 265 p. Contains: Unspecified. Black & White Photographs. VG/NO DUSTJACKET. Syracuse, NY: Syracuse University Press. VG/NO DUSTJACKET. (2007). First Pbk. Edition. Trade PAPERBACK. 2nd Printing. 8vo., 265 pp., shelfwear. New. Trade paperback (US). Glued binding. 265 p. Contains: Illustrations, black & white. New. Trade paperback (US). Glued binding. 265 p. Contains: Illustrations, black & white. In Stock. 100% Money Back Guarantee. Brand New, Perfect Condition, allow 4-14 business days for standard shipping. To Alaska, Hawaii, U.S. protectorate, P.O. box, and APO/FPO addresses allow 4-28 business days for Standard shipping. No expedited shipping. All orders placed with expedited shipping will be cancelled. Over 3, 000, 000 happy customers.